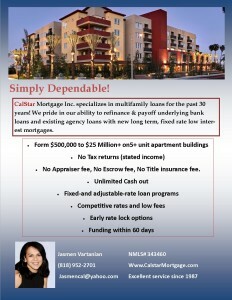 Apartment Loans | CalStar Mortgage, Inc.
CalStar Mortgage Inc. specializes in multifamily loans for the past 30 years! We pride in our ability to refinance & payoff underlying bank loans and existing agency loans with new long term, fixed rate low interest mortgages. What is an Apartment Loan? No Appraiser fee, No Escrow Fee, No Title insurance fee. 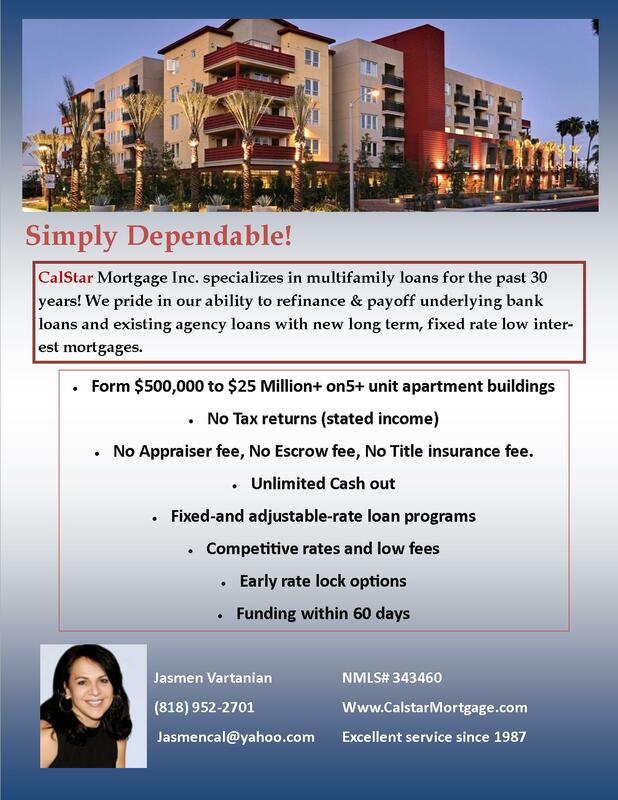 If you are seeking to purchase a multifamily unit in La Canada Flintridge, Beverly Hills, West Hollywood, Encino, Sherman Oaks, or anywhere in California, contact CalStar Mortgage Inc. at (818) 952-2815 for more information, simply fill out the form on this page.